(PRESS SEC) – When he was Prime Minister of St. Kitts and Nevis, Dr. Denzil Douglas strongly cemented his record as a politician who was dead set against the idea of elected parliamentary representatives holding dual citizenship. 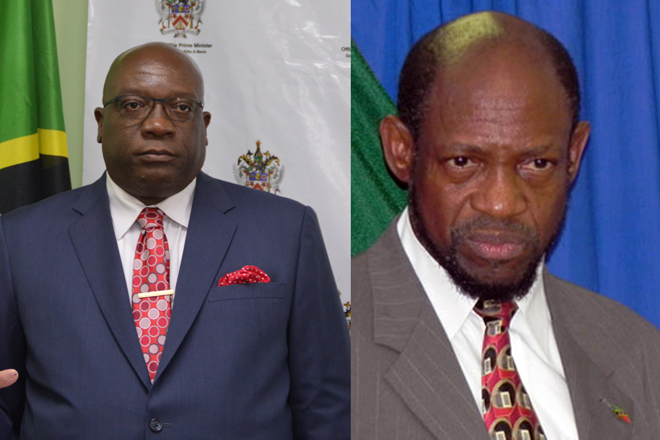 Now, information has come to light that brings into question the once-considered poster child for parliamentarians’ exclusive allegiance to the Federation of St. Kitts and Nevis. In 2009, then-Prime Minister Dr. Denzil Douglas went as far as championing pieces of legislation that amended the National Assembly Elections Act and reinforced his fervent opposition to dual citizenship for parliamentarians. He did this close to the general elections of January 25th, 2010, which saw the Dr. Douglas-led administration win a fourth consecutive term in office. The National Assembly Elections (Amendment) Act, 2009, No. 16 of 2009, was published on July 9th, 2009 in Official Gazette No. 31 of 2009 and the National Assembly Elections (Amendment) (No.2) Act, 2009, No. 17 of 2009, was published on November 6th, 2009 in Extra-Ordinary Gazette No. 50 of 2009. (1) A candidate for nomination who gives false information relating to his or her citizenship contrary to the provisions of Section 51(5A) commits an offence. (2) A voter who nominates a candidate for election and gives false information relating to the citizenship of that candidate commits an offence. (4) A person who nominates a candidate for election who commits an offence under this section shall be liable on summary conviction to a fine not exceeding twenty thousand dollars or to a term of imprisonment not exceeding five years or to both such fine and imprisonment. Now, information has come to light that questions where the loyalty of Dr. Denzil Douglas, who is now leader of Her Majesty’s Loyal Opposition, lies. At his press conference today, Tuesday, October 3rd, 2017, Prime Minister Dr. the Honourable Timothy Harris made what one can only describe as a bombshell announcement, given the fact that the Dr. Denzil Douglas of yesteryear was considered to be a staunch advocate against dual citizenship for parliamentarians.